Permits have been filed for a six-story residential building at 58 Palmetto Street in Bushwick, Brooklyn. The site is three blocks away from the Gates Avenue subway station, serviced by the J and Z trains. Joel Schwartz of South Side Units will be responsible for the development. The 65-foot tall structure will yield 25,880 square feet, with 18,500 square feet dedicated to residential use. 27 units will be created, averaging 685 square feet apiece, indicting rentals. Residents will have a lobby, laundry room, parking for 16 bicycles, and a 15-car garage. Recreation space will be included in the cellar and fifth floor. Walter J. Hollien Architects is responsible for the design. The lot is vacant, meaning construction can start as soon as permits are approved. The estimate completion date has not been announced. 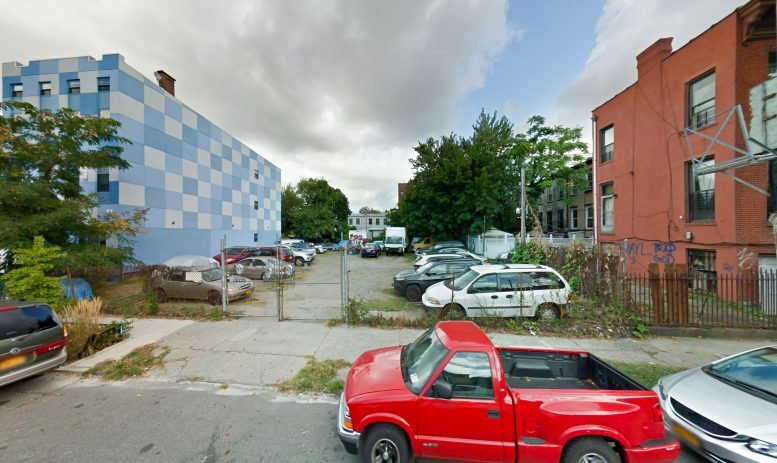 1 Comment on "Permits Filed for 58 Palmetto Street, Bushwick, Brooklyn"